I decided to make a very scientific line graph charting Byne’s career in terms of her increasing level of craziness. Despite her going crazy, I have to give her credit for the great work she did on Nickelodeon – the girl ran that station for like 10 years. But now there’s a new Amanda Show, and as entertaining as it may be, I genuinely hope she finds a way out of this mess…she could start by deleting her twitter. So who’s next to go completely insane? My money’s on Lily from Modern Family. In my 22 years I have had countless hobbies, interests, and obsessions; however, now I simply refer to them as “phases.” In some cases, I look back on and say “Gee, Christina, that was a great time in your life” whereas with others (i.e. knitting) I’m just like, “Why would you do that?” But even my most embarrassing phases hold a very special place in my heart. I wouldn’t even take back those five hours I spent stitching two lengths of grosgrain ribbon together to make a “belt.” Those five hours spent slaving over what was essentially two pieces of ribbon taught me a lot about persistence and dedication. I used to be really into crafting…like big time. It got to the point where I was spending more time in the scrapbooking section of Michaels than with my own friends. On one occasion I think I spent somewhere around $30 on stickers alone. Mind you, these were the rolls royce of the sticker selection at Michaels, but if I could go back in time I would knock some sense into my 13-year-old self. Here’s what I’d do: I’d march up to young me, tell her to put down the overpriced stickers and I’d also urge her to reconsider the sketchers/bermuda shorts look. Unfortunately, we haven’t developed the technology to go back in time yet, so my scrapbooking phases continued, along with my sketcher/bermuda short look. My sophomore year of high school I grew so bored with my life that I actually took up knitting. Not sure what type of psychedelic drugs I was on (I wish I could use that as an excuse), but one day I went to our local knitting store and picked up a pair of wooden needles and some yarn. The kind ladies at the store taught me how to use these spools and by the end of the day I had completed a square no bigger than a coaster. I was really into knitting for about a week and a half, when I realized that at the rate I was going I’d finish one scarf by 2012. 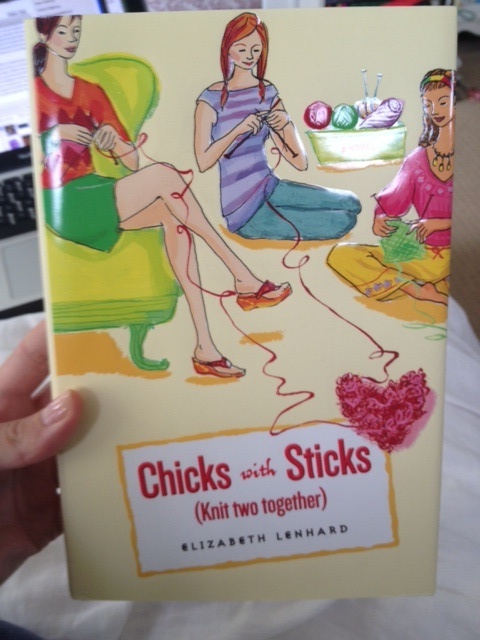 I decided to retire from the knitting game to focus on other more important aspects of my life such as getting a boyfriend and working on my golf game (I’ll save that for another day) but I hope to pick it back up when I turn 70.